Black Raven is the perfect car for the Kazakh steppe. It is fast, powerful and undemanding to use. 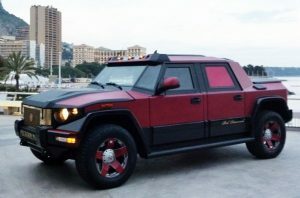 This unusual SUV was made from scratch by an enthusiast from the city of Karaganda. 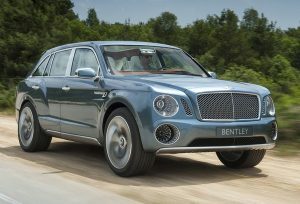 Black Raven has a 5-liter engine producing 170 horsepower, thanks to which the car can accelerate to a speed of 90 kilometers per hour when driving over rough terrain and off-road. The Angkor 333 is the first all-electric car made in the Kingdom of Cambodia. It is surprising that this machine is not the result of the development of the automotive industry in the country, but a private project of one person – a modest mechanic from Phnom Penh. 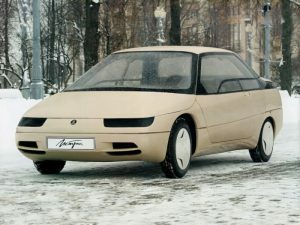 The author Angkor 333 dreams that in the future he will open his own factory for mass production of both electric and gasoline versions of this car. Fans of Batman films from all over the world dream of a Batmobile – a superb car design that is amazing in design and has many different functions that are inaccessible to ordinary serial cars. And engineer Li Weile from Shanghai decided to realize this dream with his own hands. He created the real Batmobile, as if descended from the screens of cinemas. In this case, the construction of this machine Chinese spent less than 10 thousand dollars. The Shanghai Batmobile, of course, does not have ten different types of weapons and does not travel at a speed of 500 kilometers per hour, but with his appearance he exactly repeats the Batman machine shown in the latest films about this hero. This race car for racing Formula 1 costs a lot of money – more than a million dollars. So in the private possession of such machines there. At least their official options. But craftsmen from around the world with their own hands create copies of racing cars. 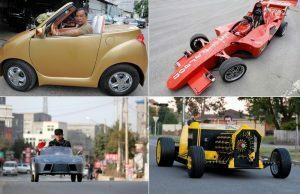 One of these enthusiasts is Bosnian engineer Miso Kuzmanovich, who spent 25,000 euros to create a Formula 1 street car. As a result, he had an incredibly beautiful 150 horsepower car that can accelerate to 250 kilometers per hour. Driving this red car through the streets of his city, Kuzmanovich got the nickname “Bosnian Schumacher”. The Chinese farmer Old Guo was fond of mechanics since childhood, but he worked all his life as a farmer. However, after the fifty-year anniversary, he decided to follow the dream and began to develop a car of his own production, which was named after the inventor – Old Guo. Old Guo is a compact copy of the Lamborghini, designed for children’s audiences. But this is not a toy car, but a real car with an electric motor that can travel on a single battery charge up to 60 kilometers. At the same time, the cost of one copy of Old Guo is 5,000 yuan (a little less than 500 US dollars). Kievlyanin Alexander Chupilin with his son for the year collected from the parts from other cars, as well as the original parts of their own SUV, they called Bizon. Ukrainian enthusiasts got a huge car with a 4-liter engine producing 137 horsepower. Bizon can accelerate to a speed of 120 kilometers per hour. 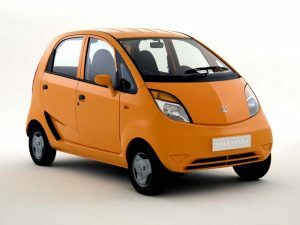 Fuel consumption in mixed mode for this car is 15 liters per 100 km. In the cabin of the SUV there are three rows of seats, which can accommodate nine people.